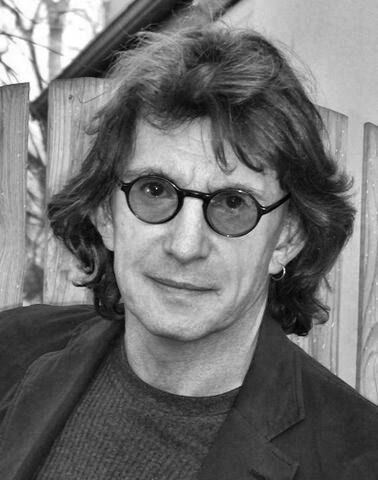 Some thoughts from Henry Giroux (professor, board of directors at Truthout.org) which I found directly relevant and applicable to the situation in higher education as I encounter it. Here are his “four rules for a bad university department.” They were meant to be critical, yet somehow some departments seem to follow these principles to the letter. First rule of a bad university department. Only admit students incapable of thinking outside of the discipline. Second rule of a bad department. Hire people who celebrate conformity, take no risks, and threaten no one. I have been thinking along similar lines over these years, with some observations reinforced from a review of a small mountain of applications to study at the MA and PhD levels in sociology and anthropology. My impression, for what that’s worth, is that graduate students tend to be less creative, intellectually daring, curious, and politically radical than the undergraduate students, as if something vital had been trained out of them by the time they apply for graduate studies. One can find in their research proposals long sentences that consist almost entirely of a string of names of famous theorists, rather than actual ideas and substantive questions. Producing such a shopping list of the great theorists leads me to believe that study for these applicants is a form of consumption, not the production or exploration of new knowledge. The exercise looks like recitation. Literature reviews are seemingly interminable. The only independence shown is in trying to find some niche in the mass of literature where one’s project “fits,” so that the effort of reviewing literature itself inspires a conservative approach to contributing to what is already in place, the status quo. One day, some may apply for academic employment, and in secret hiring committees will meet to discuss whether the applicant is a good “fit” with the Department. They tell applicants what the Department wants, and applicants better suppress any independent streaks that could promise threatening new directions. Many of the proposed research projects reveal certain underlying tendencies and assumptions about the position of the researcher and his/her view of the world. A good number of the proposed research projects play with identity issues (particularly identities which the researcher personally shares)–it’s always all about me. A significant minority are about comfortable, leisurely, bourgeois niche topics of no social relevance. You would never think that the world was burning from reading these proposals, and that the world is burning academia. Instead one might feel that these applicants believe the world to be a safe, stable and comfortable place, and one that is just waiting to welcome them with open arms and award them high-paying, permanent jobs in return for their years of submission to the rigours imposed from older persons’ research interests. …how do power, politics and knowledge connect in creating the conditions for the production of knowledge, values, subjectivities, and social relations in both the school and the classroom. While power is never uniform either in its constellations or effects, it is true that within particular historical formations some modes of power dominate over others and often constrain the types of struggles and modes of governance involved in decisions regarding what counts as knowledge. At the current moment, it is fair to say that the dominant mode of power shaping what counts as knowledge takes its cue from what can be called neoliberalism or what can be called unfettered free-market capitalism. Market fundamentalism that not only trivializes democratic values and public concerns, but also enshrines a rabid individualism, an all-embracing quest for profits, and a social Darwinism in which misfortune is seen as a weakness and a Hobbesian “war of all against all” replaces any vestige of shared responsibilities or compassion for others…. The role of democratic education has been devalued in favor of a pedagogy of commodification and repression. At the same time, education has been refigured both ideologically and structurally. The educational force of the wider culture is now the primary site where education takes place, what I have called public pedagogy—modes of education largely produced, mediated, and circulated through a range of educational spheres extending from the new media and old broadcast media to films, newspapers, television programs, cable TV, cell phones, the Internet, and other commercial sites. Ideologically, the knowledge, values, identities, and social relations produced and legitimated in these sites are driven by the imperatives of commodification, privatization, consuming, and deregulation. At stake here is the creation of a human being that views him or herself as a commodity, shopper, autonomous, and largely free from any social obligations. This is a human being without ethics, a concern for others, and indifferent to human suffering. and, this recalls to me the mind of the “Primitive” as represented by Jaime D’Angulo: He describes what we ar losing, have lost? This article emphasizes the basis for the current concern with multiculturalism and the different way that a “primitive” society views and lives in the world. As Chomsky has noted (loosely quoting): The primary function of education in the US is to teach people to behave. Chomsky, Giroux and Paul Street understand this well.